Yet another Mac Collection, they are just on fire right now. The packaging for the Wash and Dry collection is insane, with its multi-colored hippie rainbow, with blue/green, red and yellow shades just looks amazing. The packaging alone is what appealed to me more and I had to pick up a Lipstick and the limited edition Highlighter. The highlighter is called Freshen Up and is a highlighter/blush, with its gradient of light highlighter, medium highlighter and a coral blush shade. The whole thing has a glitter spray finish, which doesn't last long after you make your first swipes, but it does have a slight shimmer running through the shades. 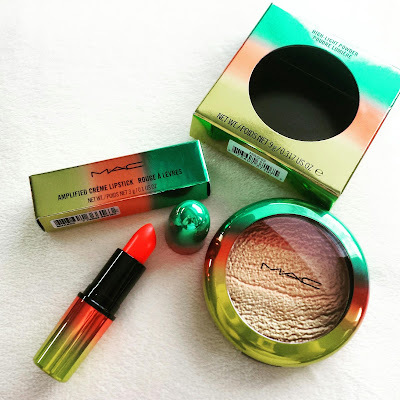 There isn't too many highlighter powders available at Mac, but when a new collection brings out a highlighter everyone jumps on it, so I am super happy to have got it before they had all gone. You can wear the shades separately or blended together for a perfect shimmer coral light coral shade. 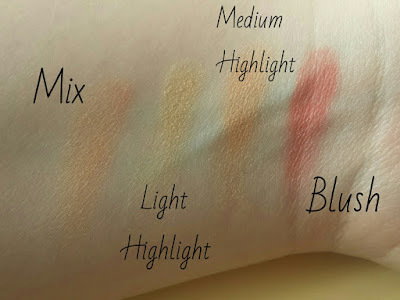 If you only buy one thing from the collection make it this highlighter as you won't be disappointed. The shade I picked up was Morange, which is actually a permanent shade usually found in the classic Mac lipstick packaging. 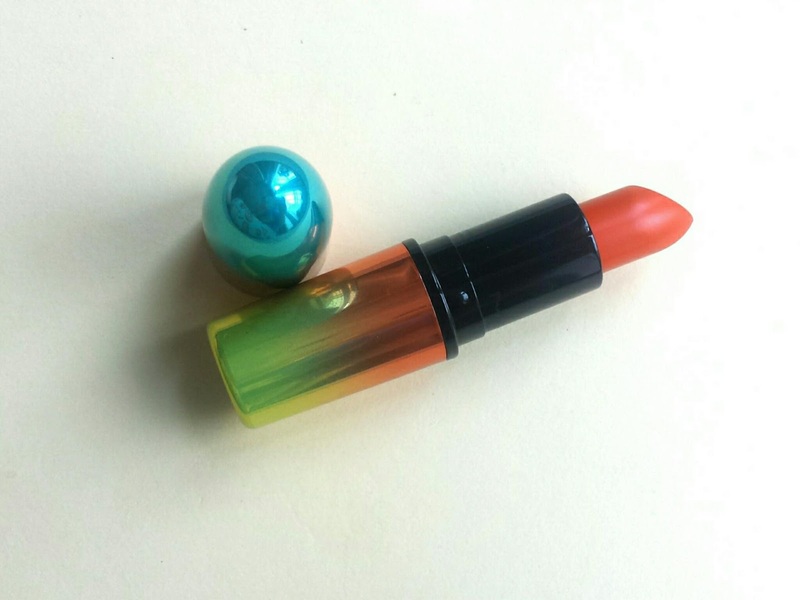 But, I was on my way to pick up an orange shade lipstick, when I saw that the new collection had one, so I had to pick it up. 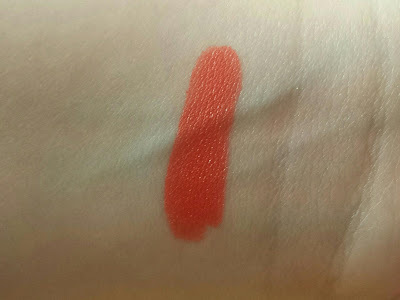 There are a few shades available with nudes and a red shade, as well as this bright orange shade. 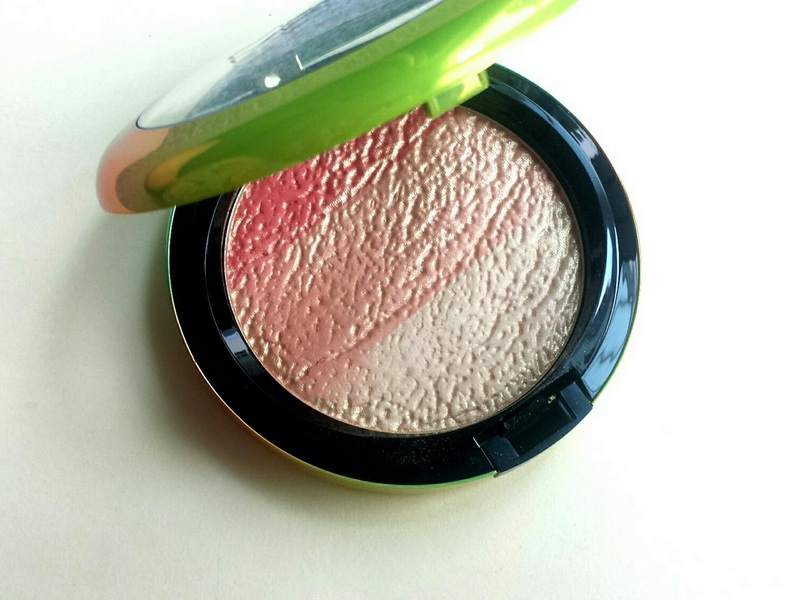 The packaging is the same hippie coloring as the highlighter, which is just super pretty. The lipstick is an Amplified Creme, which means it is highly pigmented and very creamy, it's a mixture between and Creme Sheen and Amplified lipstick, and like most Amplified lipsticks, it stains the lips which means you don't need to keep reapplying it throughout the day. It is super bright and would look perfect on tanned and darker skin tones, it also looked great on pale skin when blended out to make the color look less intense. I don't own anything this orange and bright, and I love jumping at colors that are just super unusual as you can find that the most random colors can be the most beautiful for you. This color is definitely a summer shade. Go check this collection out online or in your local Mac store, as you won't be able to leave without anything from this collection. This collection look amazing! I didnt get anything from the collection but if I see anything I will definlty be getting some!